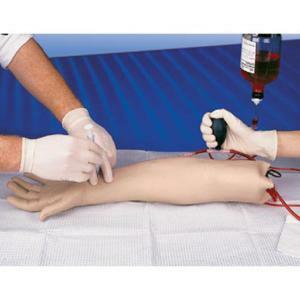 This easy to use training aid is ideal for practice in and demonstration of drawing arterial blood samples and for monitoring blood gases. 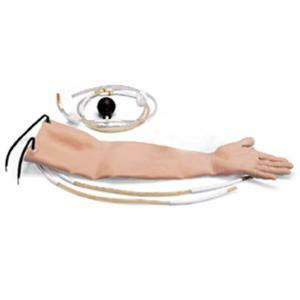 Puncture locations can be identified through palpation of the pulse of radial and brachial artery. 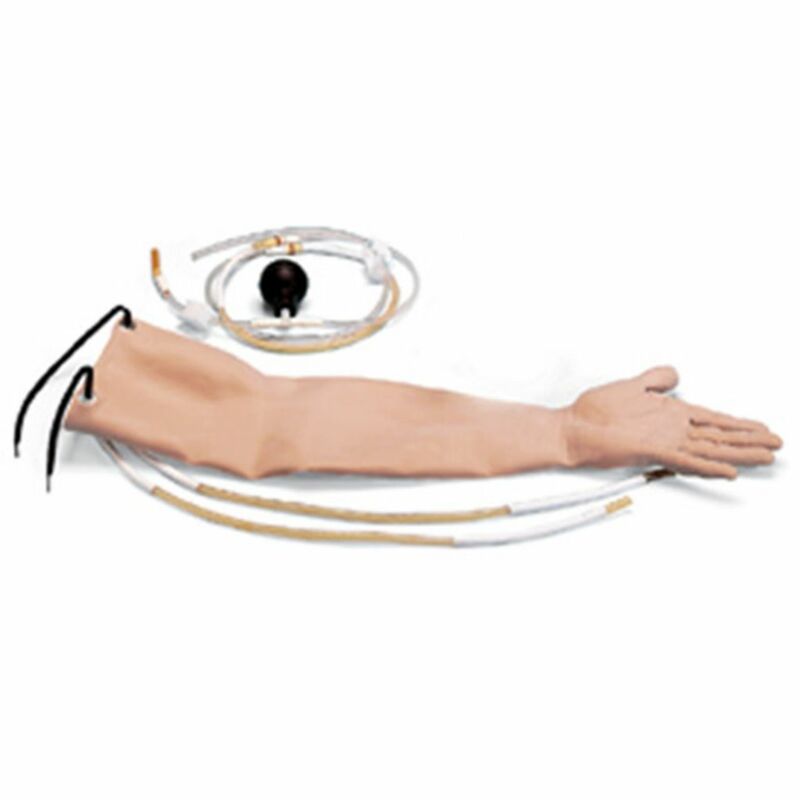 Realistic arterial pressure produces a lifelike backflow of blood in the syringe, confirming proper needle location in the artery. Delivered with 2 syringes and tubules, artificial arterial blood, 2 replacement arterial sections and carrying case.